Amplified TV listening system: ideally suited for wireless listening in your house. Whether you are watching a TV program or listening music, this is an option that can provide excellent sound. 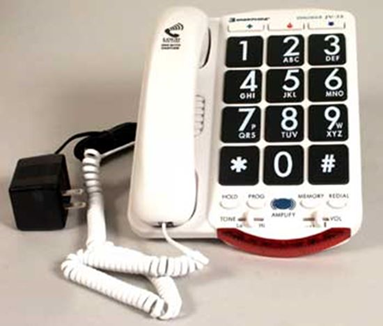 Amplified Telephones: to assist with hearing phone conversations clearer. Appropriate for those with mild to severe hearing loss. 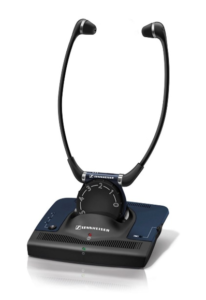 Please call our office at 905-563-0011 for more information on these devices. 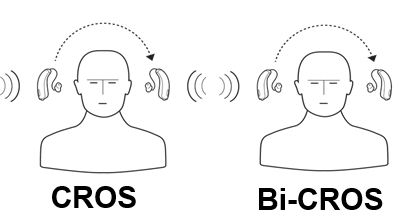 CROS and Bi-CROS devices: If you are deaf in one ear and have normal hearing in the other, then a CROS device is for you. The solution can also be used if you are deaf in one ear and hearing impaired in the other. This is known as a Bi-CROS solution.